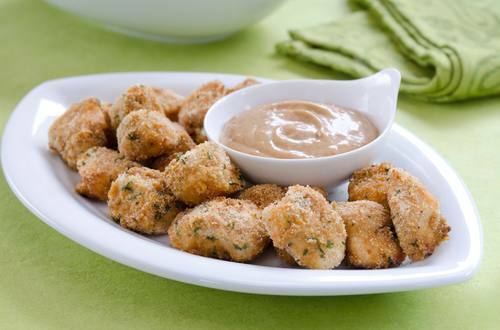 2 Combine Hellmann's® or Best Foods® Real Mayonnaise, barbecue sauce and mustard in small bowl. Reserve 1/2 cup sauce; set aside. Evenly coat chicken with sauce, then bread crumbs. Arrange chicken on baking sheet. 3 Bake 15 minutes or until thoroughly cooked. Serve with reserved sauce.